Reneé Gonzales is the Executive Vice President of Core Services, Pres. of Long Title Agency and Managing Director for Long Mortgage Company. Renee’ is responsible for the strategic development, implementation and further integration and growth of Long Companies Core Services (Long Mortgage Company, Long Title Agency, Long Insurance Group and our Home Warranty partnerships with American Home Shield and 2-10 Home Buyers Warranty) units with our agents and Branch Managers. Our company is looked to on a national level as the leader in the real estate industry in delivering these core services to the sales associates and consumer. Reneé joined the Long Companies in May 2002 to manage our mortgage operations. She initiated the start-up of Long Mortgage Company in September 2004 and subsequently accepted the position of President of Long Mortgage. In February 2009, Reneé moved into her current role of Executive Vice President within Long Companies. Reneé has more than 20 years experience in the fields of financing and mortgage, including 17 years in a business relationship with a real estate partner. A Nebraska native, Reneé holds a bachelor’s degree in business, with an emphasis in finance and human resources, from Nebraska Wesleyan University. Her passions include running and being a mother to her daughter, Zoe. 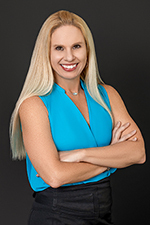 Her philosophy of providing exceptional service throughout the entire home buying process strengthens her understanding of the importance of working closely with a realty company to give the borrower the best service available. Her life motto is to live everyday to its fullest and don’t let anything stand in your way of having a fun and enjoying life! Reneé has built up Long Mortgage Company, and its parent company, HomeServices Lending, and Long Title Agency Lending to be the number two mortgage originator and the number one title company for resale purchase transactions in Pima County, Arizona.